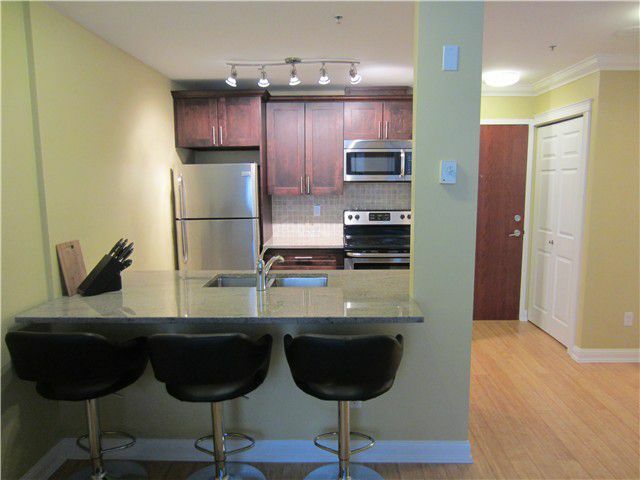 Great value for this tastefully renovated 1 bedroom suite in the heart of Downtown Vancouver! The suite features high 9'6 ceilings, a 20 foot wide balcony, a large bedroom and has been completely updated with soft close cabinets and drawers, granite counters, stainless steel appliances, bathroom vanity and bamboo hardwood floors! An unbeatable central location only steps from Robson Square, Granville Street, Yaletown and tons of shopping and dining! The storage locker and laundry are conveniently located right across the hall + 1 underground parking! Amenities include a fitness centre, roof top terrace, bike room and 3 elevators!